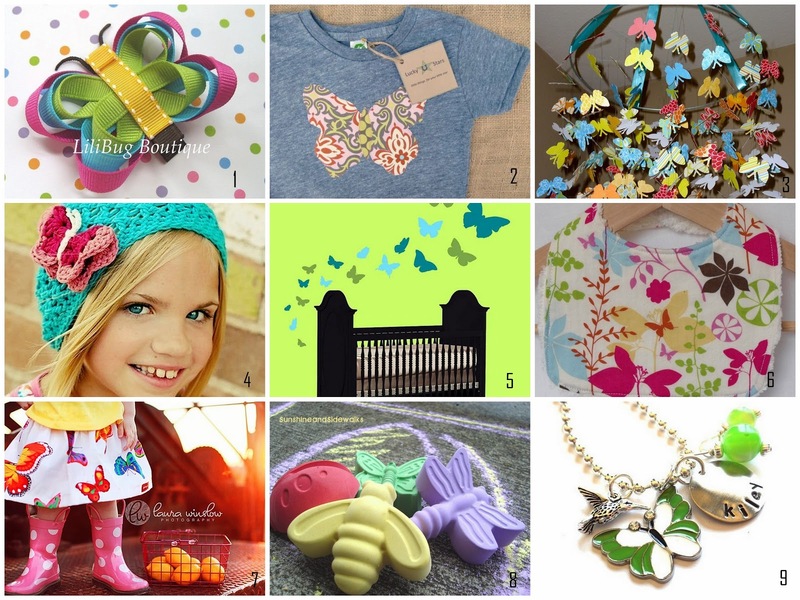 I've had butterflies on my mind lately since we recently had a butterfly themed birthday party for my niece's 4th birthday party. We had loads of fun making butterfly decorations, goodie bags and treats. So today I want to share some of my favorite handmade butterfly finds from Etsy.